Pak Red Crescent Medical And Dental College Teaching Hospital Kasur Punjab. 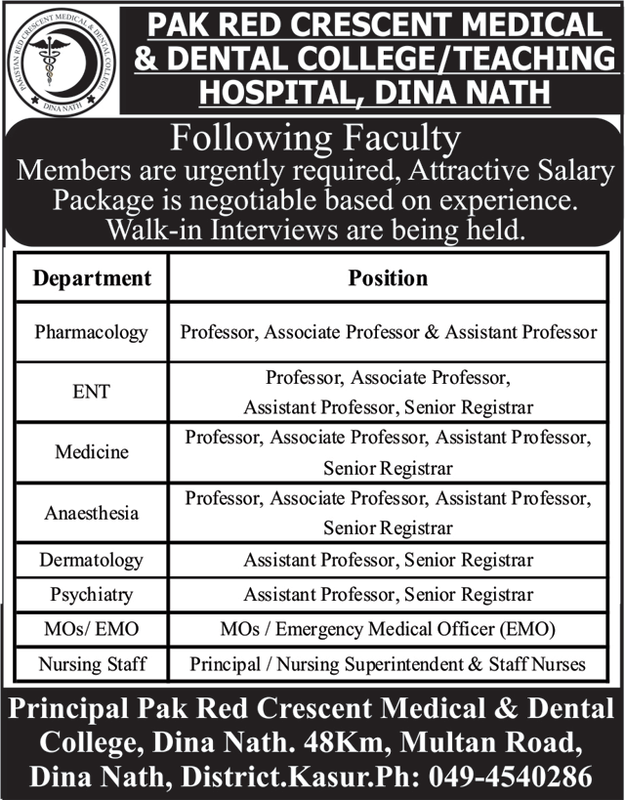 Pak Red Crescent Medical & Dental College, Dina Nath. 48Km, Multan Road, Dina Nath, District.Kasur.